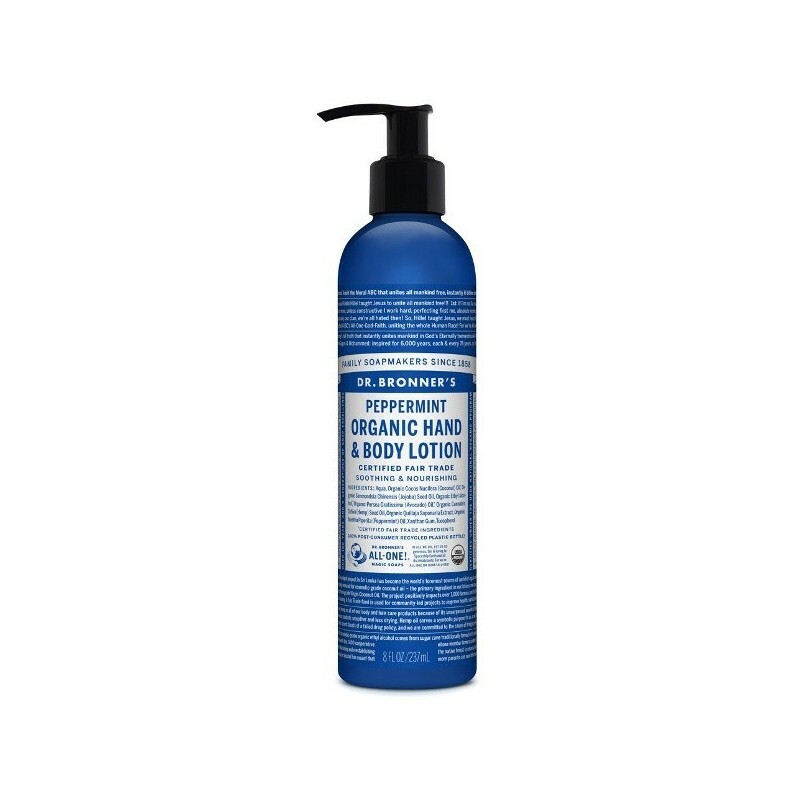 Hand and body lotion is Certified Organic and combines a concentration of jojoba, coconut oil, hemp oil and avocado oils to soothe and moisturise. Fast absorbing. Gentle enough for face, hands and body. Apply a few squirts to the entire body while the skin is still damp after a shower. Peppermint scent. 237ml. Highly emollient - only a small amount is needed. Gentle enough for face, hands and body. Apply a few squirts to the entire body while the skin is still damp after a shower. Use after handwashing for soft, protected hands. Contains Fair Trade and Organic palm kernel oil from 'Natural Habitats' (registered under IMO's Fair For Life program) in Ecuador. Farmed sustainably and paid fairly. Naturally scented with patchouli and lime. Aqua, Organic Cocos Nucifera (Coconut) Oil*, Organic Simmondsia Chinensis (Jojoba) Seed Oil, Organic Ethyl Alcohol*, Organic Persea Gratissima (Avocado) Oil*, Organic Cannabis Sativa (Hemp) Seed Oil, Organic Quillaja Saponaria Extract, Organic Mentha Piperita (Peppermint) Oil, Xanthan Gum, Tocopherol. *Certified Fair Trade Ingredients. 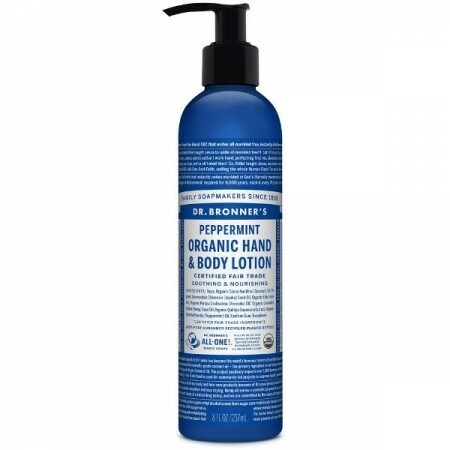 #Dr Bronner's advised us 03/2017 that it uses Glycerin dervied from non-GMO soy and Tocopherol made from non-GMO sunflower seed oil. The smell of thIs light lotion makes my heart smile! Perfect for a post swim moisturise.